Leon Aureus’s adaptation of the game-changing Terry Woo novel about the lives of five Asian Canadians still has all the punch it ever did. Maybe even more so, as people today assimilate externally while their internal workings remain truer to their origins than ever. The end of each act may still seem a bit repetitious, but the overall effect is powerful. I’ve been pretty tough on Nina Lee Aquino in recent years, but her direction of Banana Boys shows her at her best. She’s totally connected to the material, gets great performances out of her cast and stages it in a really imaginative way. It looks very 2015, which is just the right idea. He plays Sheldon Kwan, the guy who’s says he’s willing to give up everything for the right girl but proves better at dumping them than keeping them. Warm-hearted, but kind of soft-headed, Gamotin has all the right feelings but all the wrong moves. A really touching job. Gin has one of the toughest jobs, playing the author surrogate who grudgingly goes into medicine to keep his parents happy when he’d rather be an author. He looks like the preppiest of all the guys, but there’s some truly dark stuff bubbling underneath. He’s a multi-level performer. The character of Dave Lowe is the hardest to take in the play: sexist, racist, horribly violent and always in your face. Here’s the surprise, Koomsatira makes us understand and empathize with him without softening any of the hard edges. Frightening but magnetic. It’s Rick Wong’s funeral that frames the play. No spoiler here, you see his body as soon as you enter the theatre. 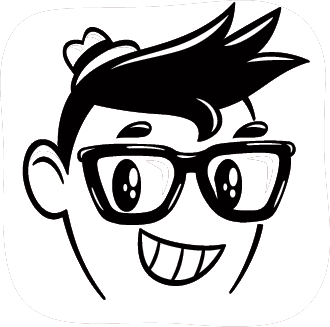 Wong is the most seemingly successful one but driven by unspeakable demons. Liu lets us see the man’s power as well as his pain. A great juggling act. Luke Yeung is one of those Peter Pan boys who never commit and never grow up. Nozuka is perfect in the role, as charmingly playful as a puppy, but just as mischievous as well. Nozuka delivers all that with style but lifts the curtain to let us see the emptiness inside as well. He’s a fine young actor. This is part of the “Naked Season” at Factory, where physical trappings aren’t supposed to matter a lot. It may not work on some shows, but it’s perfect here. The uncredited costumes are perfect (especially Nozuka’s Power Rangers T-shirt), the simple set is versatile and Jennifer Lennon’s lighting is flashy or subtle as needed. This is a very funny show and very touching as well, but you’re going to walk away remembering the anger. Every one of the cast has at least one major eruption of long-hidden rage, all related to issues of racism that have been ignored or repressed. It’s a powerful and frightening message. I attended the final preview, which was packed, enthusiastic and heavily weighted toward the under-30 crowd. Those qualities are so seldom visible in Toronto theatres that you have to cheer when you see it happening. If you feel like you don’t belong at most plays in the city, try this one out. 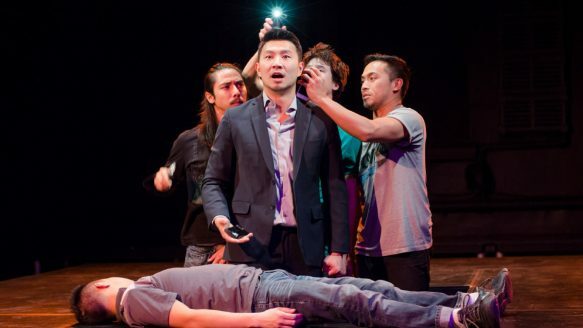 This entry was posted in Links, Photo, Review, Theater and tagged Asian, Asian American, Asian-Canadian, Banana Boys, Canada, Darrel Gamotin, Factory Theater, Matthew Gin, Nina Lee Aquino, Oliver Koomsatira, Philip Nozuka, play, Simu Liu, stage production, theater, Torono. Bookmark the permalink.